How Do I Tell My Methadone Doctor I Need to Make a Change to My Treatment? 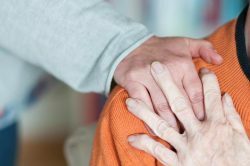 Home › Methadone Maintenance Treatment Resources › How Do I Help My Friend While They Attend Methadone Treatment? It can be a big step to make the decision to attend methadone treatment and to make the change in one’s life to begin recovery from opioid abuse. This is why having the love and support of family and friends is absolutely indispensible during this time. Below are some tips to allow you to be more helpful to a friend or loved one while they attend methadone treatment. While it has been proven that methadone users can drive safely while on the drug, the Substance Abuse and Mental Health Services Administration warns that one should still “be careful driving or operating machinery on methadone,” especially in the beginning of treatment or when moving to a new dosage amount. Therefore, one of the easiest ways you can provide help to your friend is to drive them to and from their methadone center. You may choose a certain number of days during which you would be able to make this drive or you may decide to set up another kind of schedule. Either way, offering to transport your friend to and from their facility is a wonderful help that will put them at ease as they travel to treatment. In addition, it can make the journey to the treatment center itself more fun and less of a daily frustration. Being there for your friend, physically and emotionally, will help get them through treatment. Does your friend have children who need to be picked up from school? Do they have to get dinner on the table or clean up the house and don’t have time because they are going to their maintenance program? It can be immensely kind to ask your friend if there are ways you can help around the house to just make things move more smoothly for them. According to the National Institute on Drug Abuse, those early on in their treatment are likely to experience drowsiness, so taking care of a few chores like these can be extremely helpful. Although your friend will likely need your help in picking up the slack or making it easier for them to get to their treatment, just listening to them can be an important part of your friendship at this time. Attending methadone maintenance can be difficult, not only because of the changes one has to make to their life but also because of the stigma associated with it. If you can, show your friend that you are available to listen when they need help and that you are there to make their treatment easier. Sometimes, methadone maintenance can be such an important and difficult change to someone’s life on top of attempting to recover from addiction, the individual will require a place to stay where they are not alone. If your loved one is attending methadone maintenance at an outpatient clinic and they could benefit from staying with you for a while, it can be very generous to open your home to them or to promise to stay with them for a number of weeks until they get settled. This can also help minimize the chance of issues occurring with the treatment itself. For help finding treatment for a loved one, call 800-530-0431 today.